Can’t code? Can’t hack? Can’t do anything cool on the command line? This game will give you an excuse to spend some time in the terminal nevertheless. Be a cool kid, be in the terminal. 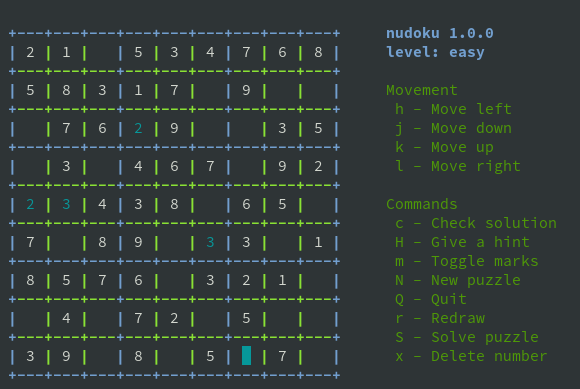 Play nudoku! As a bonus you will even learn the basic vi movement commands. If you don’t run any of these, well, go read the readme.